Britain’s Queen Elizabeth attended a star-studded special concert on Saturday as the world’s oldest and longest-reigning living monarch celebrated her 92nd birthday. 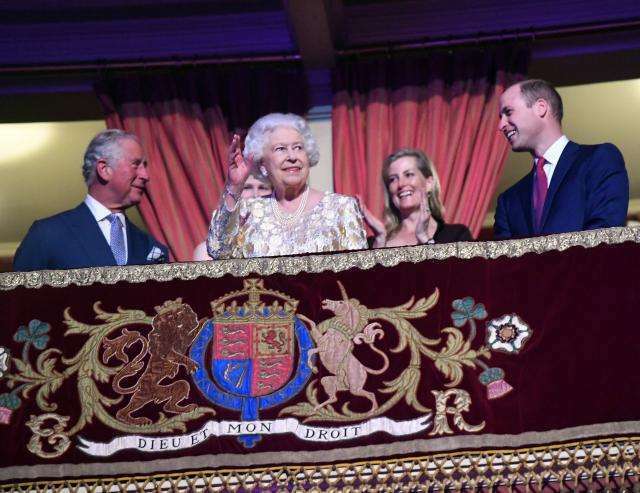 Welsh singer Tom Jones kicked off the show with his hit “It’s Not Unusual” shortly before Elizabeth appeared in the royal box of London’s Albert Hall, flanked by her family. At the end of the night Elizabeth joined the stage with her son, Prince Charles. He joked that she could not have predicted in 1948, when Charles was born, decades later a 92-year-old queen would be sharing a stage with her 70-year-old son. Charles then led a round of cheers from members of the audience. The queen acknowledged them with a smile and her trademark royal wave.